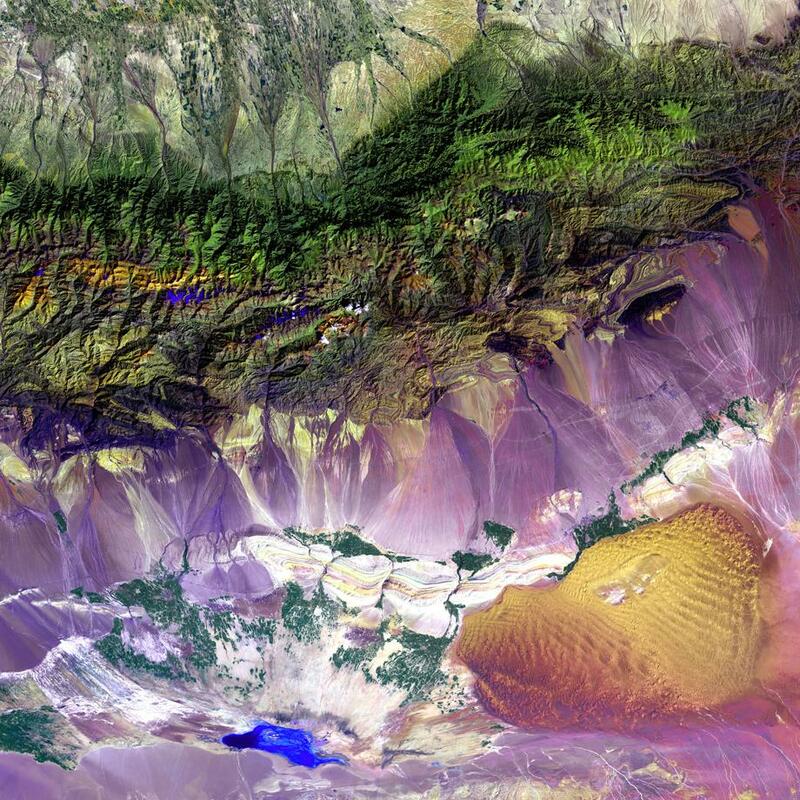 Earth As Art: Fresh and inspiring glimpses of our planet (PHOTOS). 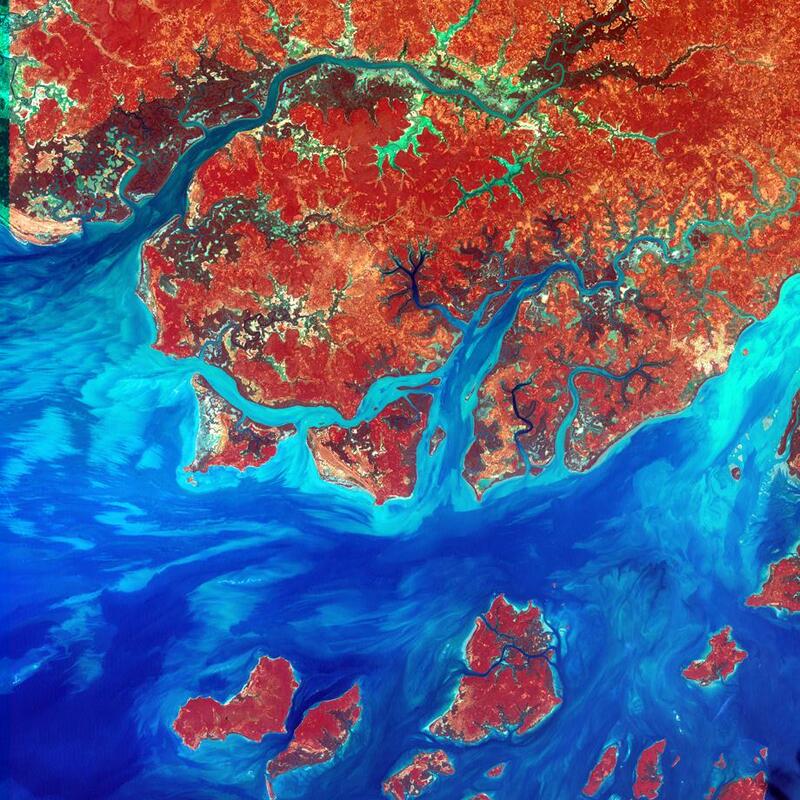 Silt from the Geba River drains into Guinea-Bissau’s shores in West Africa, creating intricate patterns in the shallow Atlantic Ocean waters, January 2000. It’s easy to imagine these photos of Earth hanging in a modern art exhibition. 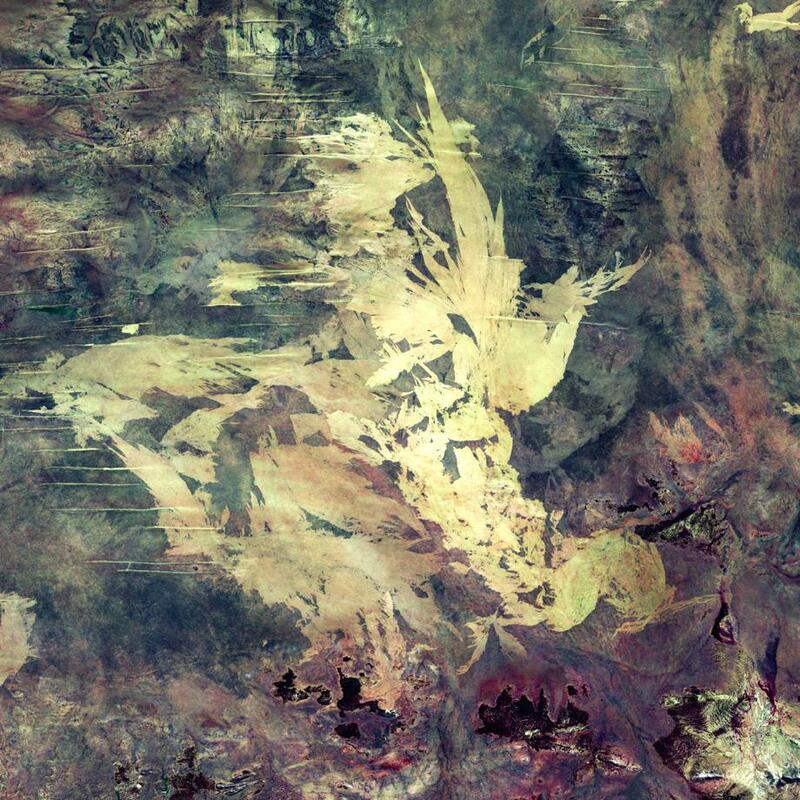 Taken via satellite, these images are part of a series called Earth As Art from the U.S. Geological Survey and offer “fresh and inspiring glimpses of different parts of our planet’s complex surface.” They are deserts, islands, vineyards, and river deltas, rich with vibrant and unexpected colors that bring to light the weird shapes and uncanny patterns that make up Earth’s landscapes. The Rub’ al-Khali desert, featured below, is the largest area of continuous sand in the world, reaching across Oman, Yemen, and the United Arab Emirates. Its sand sheets, salt flats, and sand dunes are to this day largely uninhabited and unexplored. 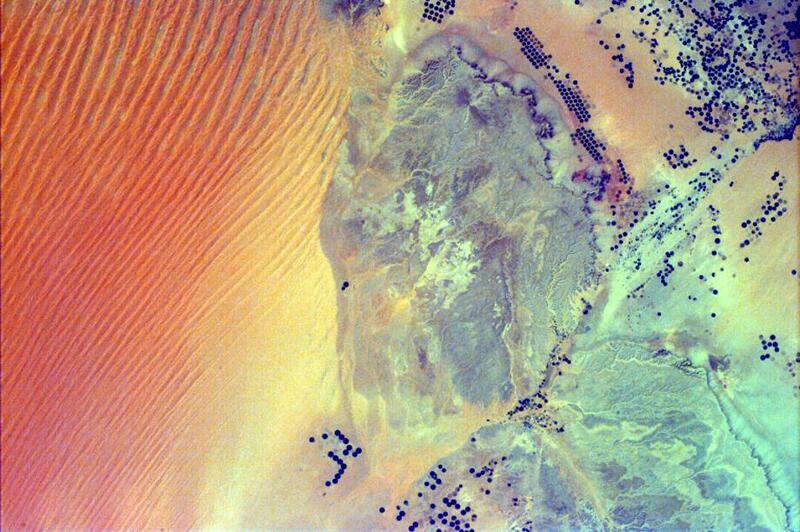 The dots in this image are formed by pivoting sprinklers near the city of As Sulayyil (Sulayel), in the Rub’ al-Khali desert in southern Saudi Arabia. Though the images were created for their aesthetic qualities, and not expressly for scientific purposes, they are still useful to scientists across different fields to map and monitor changes through time, especially in places with highly dynamic conditions. Hugli River, part of the Ganges Delta, in January 2005. 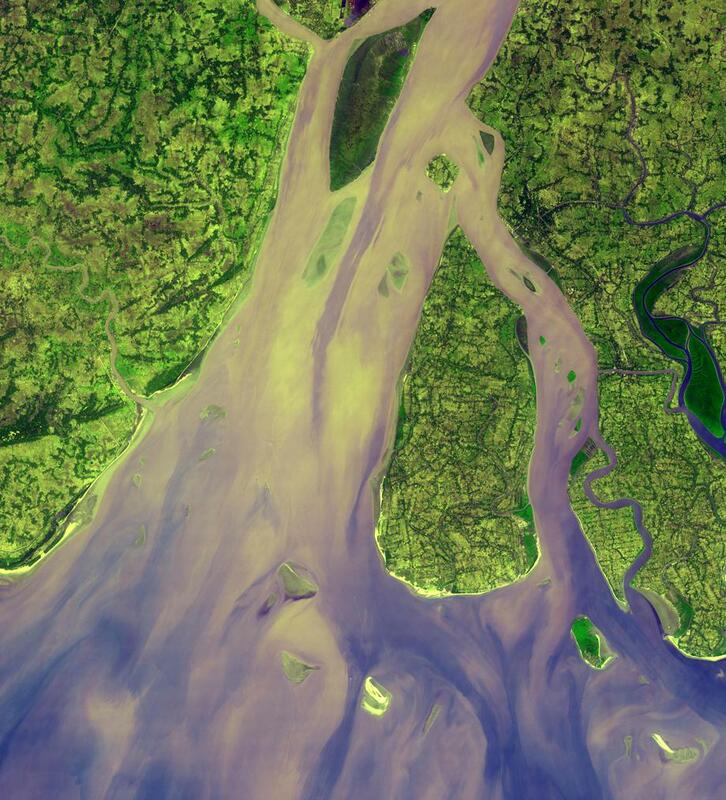 The Hugli flows by Kolkata, India, before emptying into the Bay of Bengal. NASA/GSFC/METI/Japan Space Systems/U.S. - Japan ASTER Science Team. 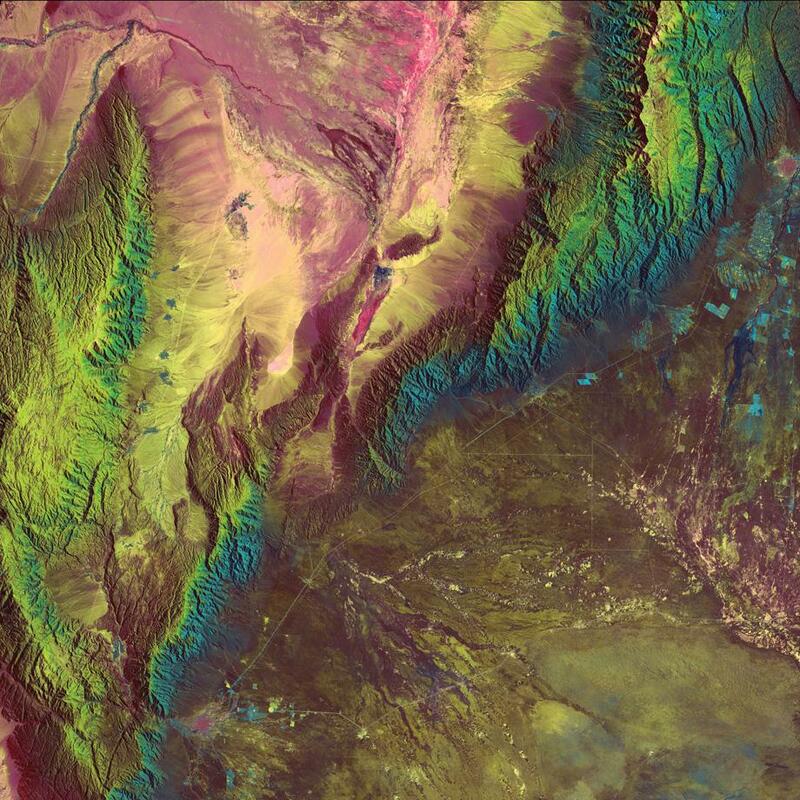 Many of the images are false-color composites, and according to the U.S. Geological Survey are “made using infrared, red, and blue wavelengths to bring out details” and accentuate contrasts in altitude, density, or composition. Climatologists, geologists, or biologists may use these to monitor thermal pollution, active volcanoes, and glacial advances and retreats. They can also determine cloud morphology, identify crop stress, and measure coral reef degradation. 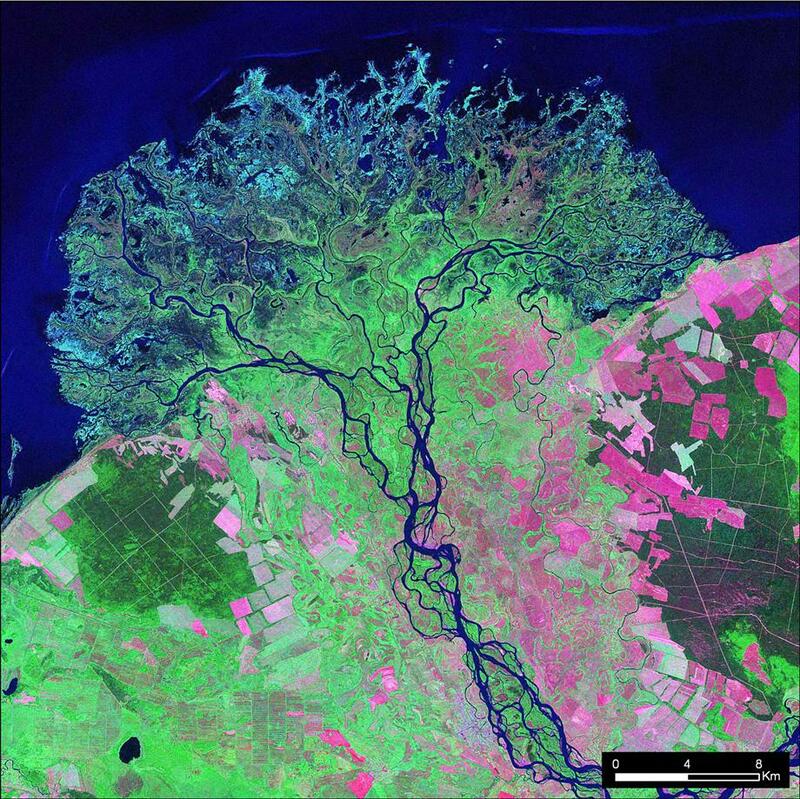 The Selenga River delta on the southeast shore of Lake Baikal, Russia. USGS/EROS/NASA Landsat Project Science Office. Sierra de Velasco Mountains of northern Argentina in the province of La Rioja. The blue squares and lines are vineyards and fruit-growing regions near the city of San Fernando del Valle de Catamarca. Worthy of Van Gogh treatment below, these phytoplankton surges in population happen when deep underwater currents transport nutrients to the surface where the sunlight can reach them, thus providing abundant nourishment to the microscopic bottom of the food chain. 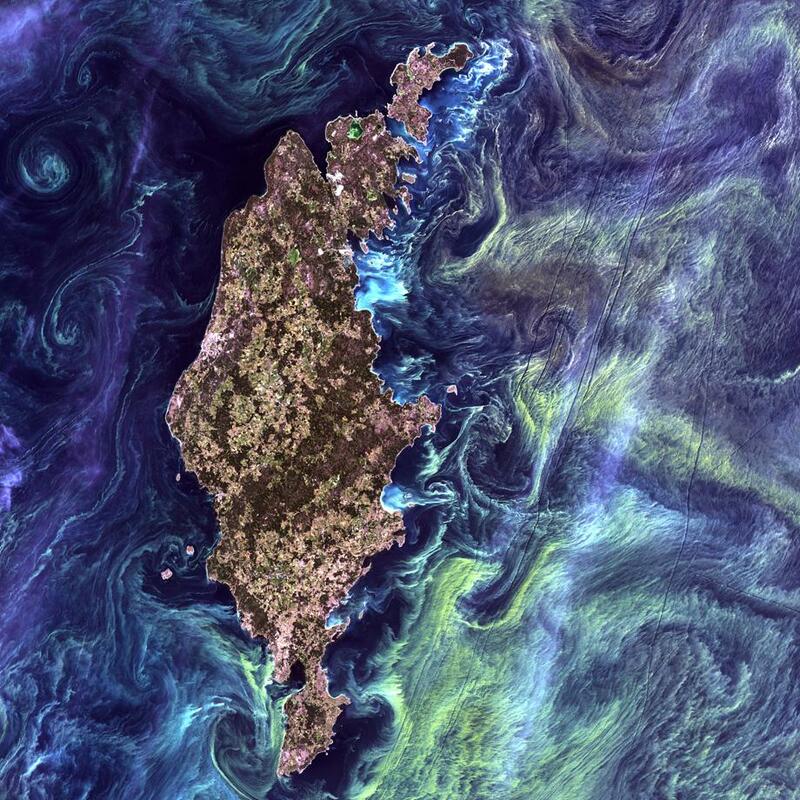 Fluorescent yellow-green phytoplankton mix and whirl in the waters around Gotland, a Swedish island in the Baltic Sea. 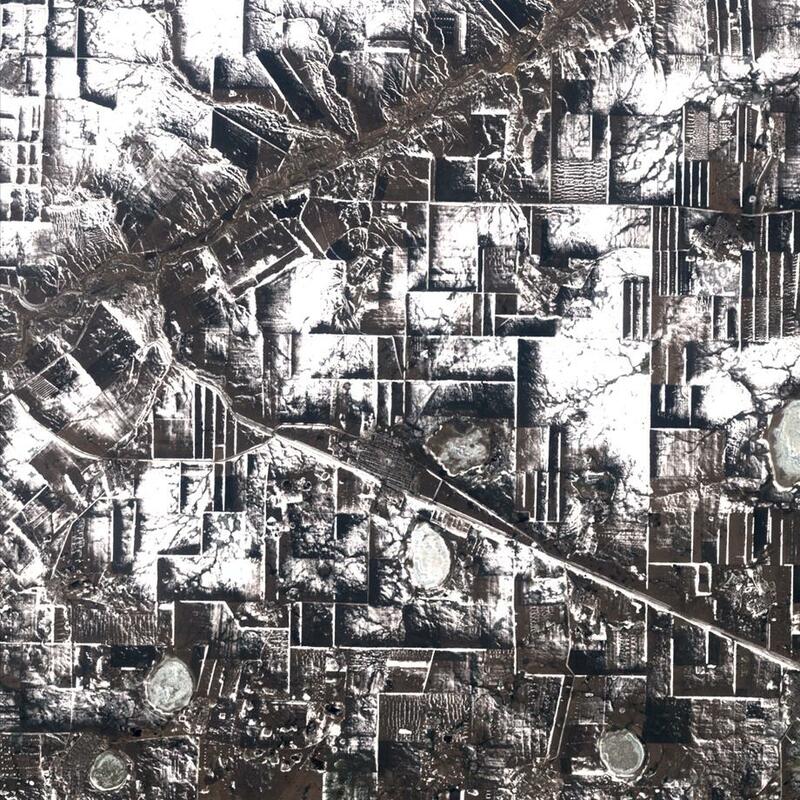 NASA’s Goddard Space Flight Center/USGS. The Great Sandy Desert in Western Australia in August 2000. The cuts in the sand were made by wildfires. NASA/USGS EROS Data Center Satellite Systems Branch. 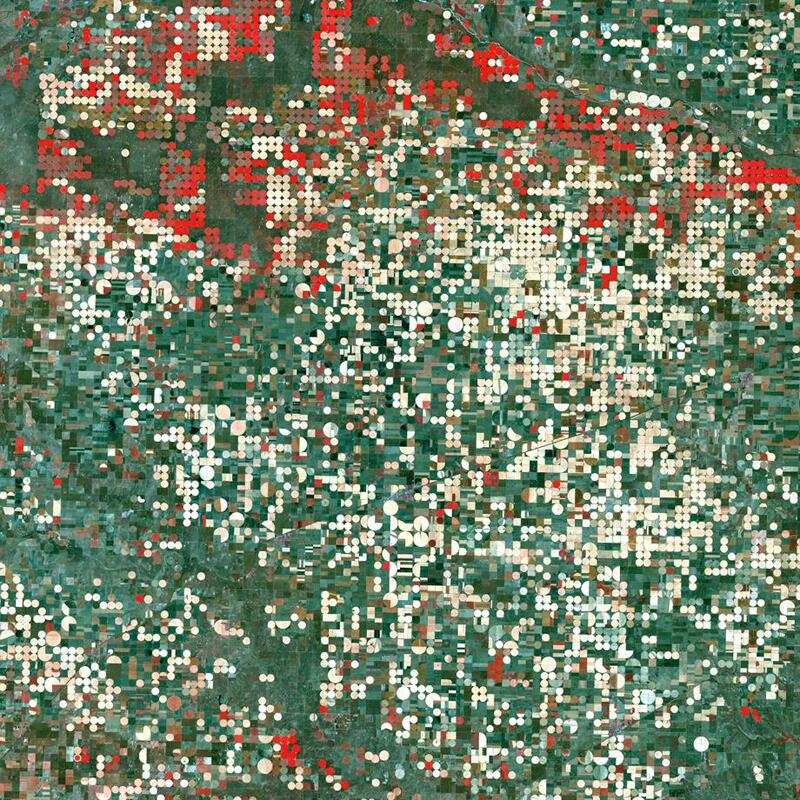 Pivot sprinklers create perfectly shaped circles near Garden City, Kan.
Tree windbreaks create a rectilinear pattern reminiscent of a cubist painting, surrounding farms in the winter near the city of Komsomolets in Northern Kazakhstan. 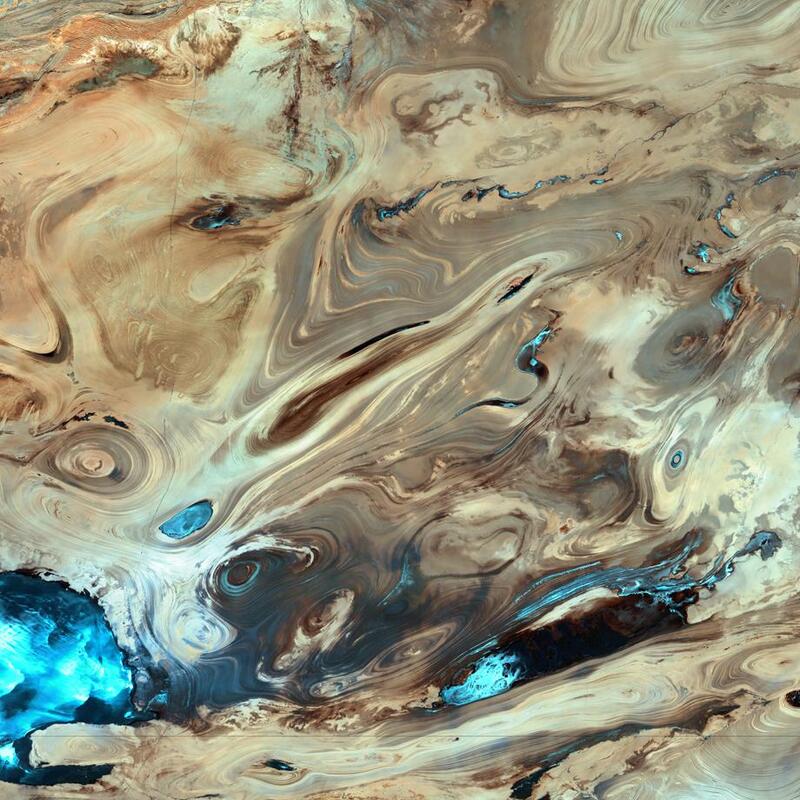 The Dasht-e Kevir, or Great Salt Desert in October 2000. It is the largest desert in Iran, made of mud and salt marshes that trap what little moisture there is. 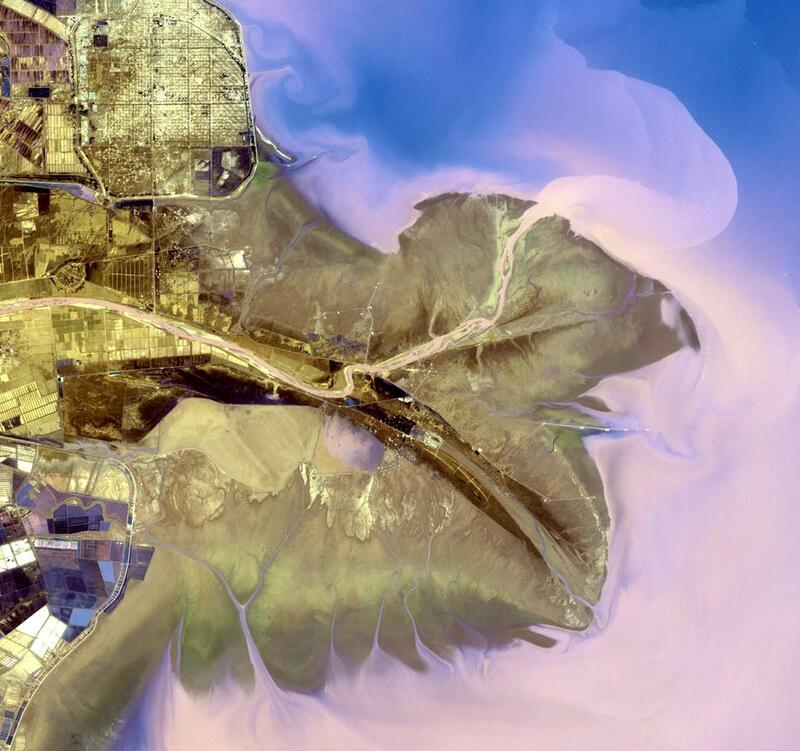 China’s Yellow River is the country’s second-longest river. It is both the cradle of its civilization and a source of constant grief from destructive floods. NASA/GSFC/METI/ERSDAC/JAROS/U.S. - Japan ASTER Science Team. The mix of sand dunes and salt lakes at the edge of the Bogda Mountains in China creates this hyper-surreal landscape in the Turpan Depression, one of the few inland places in the world that lie below sea level.